THIS WEEKEND and next week – Support youth music and meet some local band members at White Eagle and Alberta Street Pub! So much awesome stuff is happening in our world of music this week! We just finished an amazing all ages FREE concert at PDX Pop now over the weekend, and now we have a meet and greet Thursday night with Vortex Music Magazine and some crazy good-to-know industry people (RSVP at link to attend) . But, where I really would like to see everyone mingling this Saturday is at White Eagle for our monthly youth event. 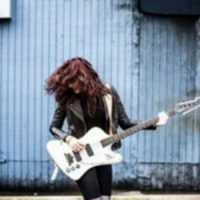 We’re really pulling this together by adding local bands as mentors, each playing a set and giving the youth some advice about the scene here in Portland and internationally. 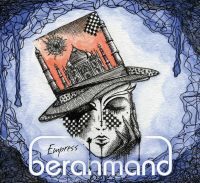 This month features Berahmand, headlining our show with youth bands Gaffa and 4 Day Moon. (AND…Wednesday 8/3 Niamn tapes a live show at PDX Spotlight…AND…Wednesday 8/10, Michael Hermes plays his new album at Alberta Street Pub for the Local Roots Live Show! ) There’s so much youth music happening – I am overjoyed and grateful! 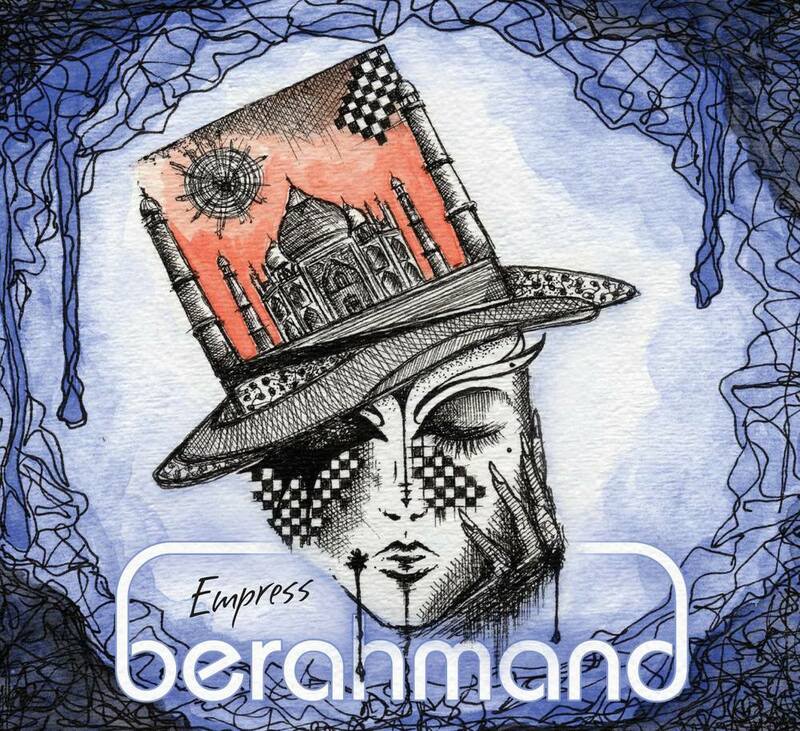 If you haven’t seen and heard Berahmand play live, this is an amazing chance to see the highest level of quality presentation and performance that our city has to offer. Come to dance, come to get some insight into the biz, grab a pale ale, and chat with the other musicians who show up to support. I’ve seen Berahmand at places like Doug Fir and The Star Theater – now, we present an intimate show, incorporating some of our local youth as guest players. This amazing set features original music, but also some cool covers especially for the youth event. We want to give kids access in every way, including to the roots of the music we make now. Expect some lovely dancy individualized covers of Ike and Tina Turner, Amy Winehouse, David Bowie, Rolling Stones, a psychy touch of Pink Floyd – and underlying it all…i’m telling you, the essence of Prince. White Eagle is the place to be on Saturday – Doors 11:30, show noon-2:30. Gaffa is new on the scene, but the members Astrid Scherlie, Kendra Gruis, and Adam Jones are all youth vets from my original gang at School of Rock Portland. Jones was featured in at least one PDX Pop Now Band this past weekend, and is one of the most sought-after young drummers in Portland. Astrid is always a hit at shows with her striking look, intensity, and hauntingly gorgeous voice. Kendra and I have not had much of a chance to hang out, but I know her reputation as a skilled musician with a crazy good work ethic. Cannot wait to see them finally! 4 Day Moon has joined our stage once before, and was the most talked about band since we’ve started. With original pop punk tunes, and a grungy 90’s look, the band is fun to watch and impressive with their originality. Emily Schneider, front person for the band, is both gracious and deliberate with her stage presence. Punk? Yes. Accessible and relatable for all generations? Also, a big YES! Excited to hear what they’ve been working on since the last time we saw them. Please join us this Saturday for some incredible youth music performances with adult headliner, Berahmand and a whole gang of amazing pro musicians from Portland – $10 tickets are available online or at the door. (Student ID gets you in for $5) Working musicians, message me for an all-access pass – I can offer a few free tickets. After we pay our minimal expenses, all proceeds go directly to the bands. We want to furnish opportunities for instruments, merch, and training for youth, in addition to venue access. Thanks to our financial sponsors: Ole Latte Coffee, Stefanie Fisher/Windermere Real Estate, School of Rock Portland, and White Eagle Saloon. And a huge shout out to our media partners: PDX Spotlight, Vortex Music Magazine, and Teri’s Tunes. Meet us at the door! 11:30AM this Saturday at White Eagle – 836 N Russell St. Oh yeah! 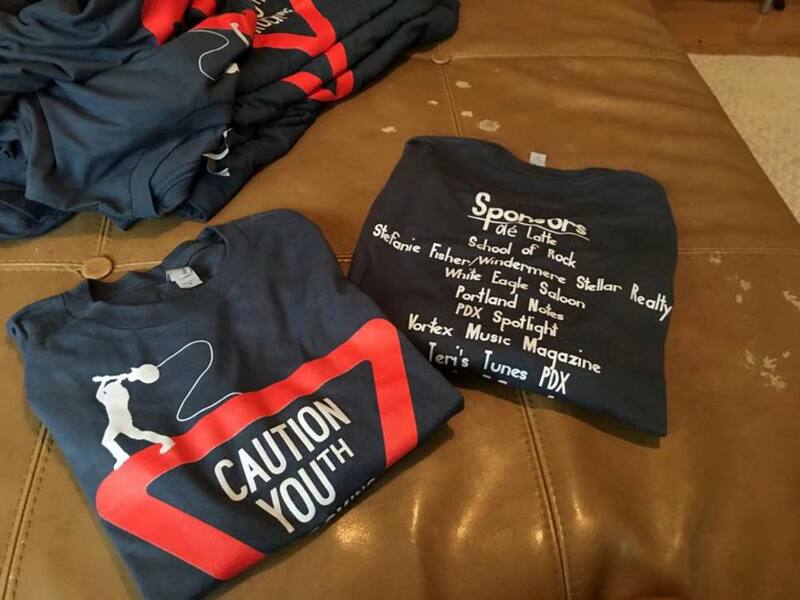 We have tee shirts! McMenamins White Eagle Saloon and School of Rock Portland have joined together again to bring another fantastic youth event to our city! This Sunday, 3 young bands will blow minds and melt all-ages faces at a double EP release from 2:30-5PM. Niamh headlines the show, playing on a fantastic bill with Jamie Iwata and returning guests Pedestrian Death Gang. 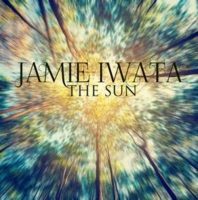 Niamh and Iwata will celebrate the official releases of their new recordings at this incredible show. Please note: this show is SUNDAY 2:30-5PM – happy hour: a special time to highlight the new releases and allow the bands more time to showcase their music. We would like to thank all the partners who make these monthly events possible. 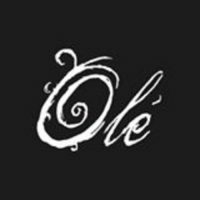 Ole Latte Coffee and Stefanie Fisher/Windermere Real Estate have continued to offer both financial and physical support, along with John Guffey of School of Rock – who has continued to provide backline and stage management for the bands at every concert. White Eagle graciously hosts our events, donating the venue and providing helpful and enthusiastic staff. 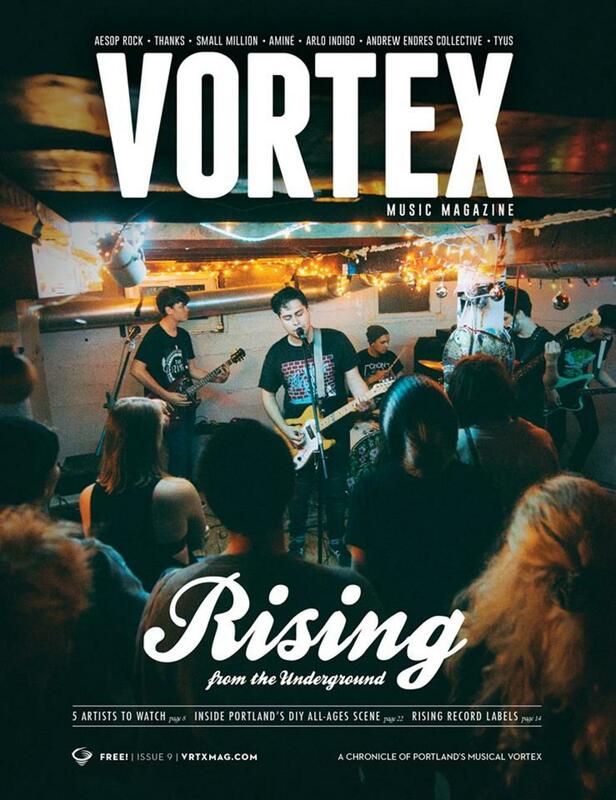 PDX Spotlight, Vortex Music Magazine and Teri’s Tunes PDX have offered amazing media support. Teresa Topaz Music has brought us information on tone and performance, courtesy of Guitar Center. There is such a love of local music and youth here, but we still have much to accomplish – Music Millennium, Friends of Noise, SMART Collective, School of Rock , NW Music Experience, Ethos, PDX Pop Now, Rock and Roll Camp for Girls, PROWUS and Youth Music Project are all leaders in promoting local youth and their musical dreams. 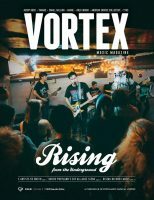 Please join Portland Notes in promoting and supporting all-ages events, local youth bands – check out Vortex Music Magazine’s all-ages calendar for family-accessible concerts, and Youth Music Project for weekly and monthly ways to get involved. Suggest a band for the next showcase, come to our concerts with a friend. Just have fun with us. 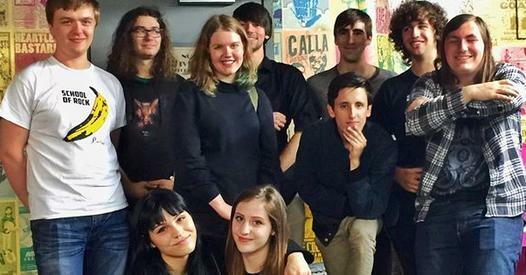 Next month, Portland Notes presents two fabulous all-ages events. July 2, Radio Hot Tub and Portland Notes present 5 amazing bands (including local favorite When We Met) at Analog Cafe. AND!!!! 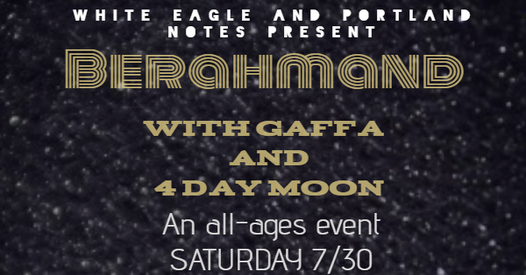 July 30, White Eagle and Portland Notes present the very dancy, very cool Berahmand with special youth guests Miranda Jones, Kyle Bird, Gaffa, and 4 Day Moon. Celebrate summer while school’s out! As for Sunday, come support 2 bands of students who are releasing original music with both local and international flair. The Second White Eagle Youth Showcase this past Saturday was a huge success – thanks to all who came out to support youth music. 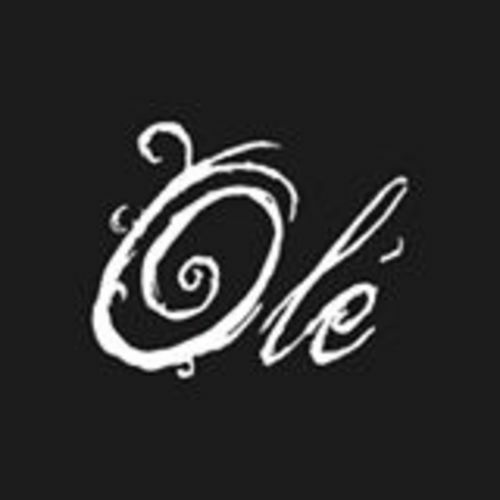 Special thanks to Ole Latte Coffee, Stoller Family Estate Winery, School of Rock, John Guffey, and White Eagle Saloon for giving us the financial, staff, and equipment support to continue offering these great show. All photos were taken by Annette Johnson, You may contact us for her information. 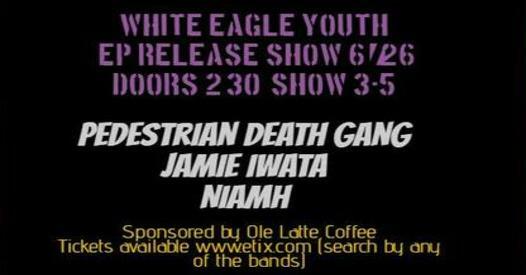 McMenamins White Eagle presents our second Local Youth Showcase! Tomorrow, Saturday May 28 is another great day in the local music scene! 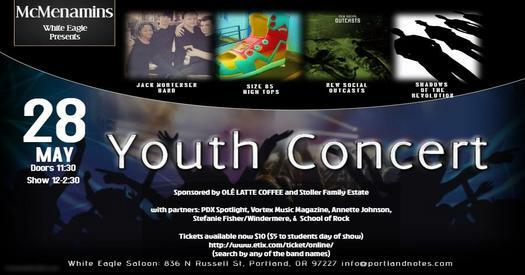 An all-ages concert by youth and for youth will blow everyone away from the first note played at noon! This is an event dedicated to raising awareness of the quality of our local youth bands, as well as to offer a chance for musicians to learn about a different topic relating to the industry. Doors open at 11:30, and tickets are available online or at the door. 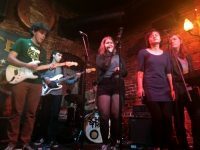 White Eagle Saloon is located at 836 N Russell St.
Shadows of the Revolution, an all-youth cover band, will open the show at noon with songs you will know and love. They perform at a variety of venues this summer – catch them here first! Size 85 High Tops will follow with their unique father-daughter front team, offering a variety of genres – all original. New Social Outcasts is next, with some of the most passionate young men I’ve ever seen on stage. Jack Mortensen Band is our headliner, with the lovely and talented Miaya Shambry on vocals. Their music will get us all cheering and out of our seats. This will be one to remember! Jack Mortensen band is also performing in July at a fantastic Radio Hot Tub event, and has applied to be part of Robert Richter’s Local Roots show this year. Our media partners, Vortex Music Magazine, Teri’s Tunes, and PDX Spotlight have been sharing the event – Mike Burling from PDX Spotlight is working to create an upcoming episode of the television show featuring some youth bands. 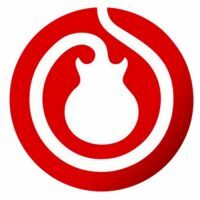 School of Rock provides backline again for this event, we have Connor Johnson as stage manager, and the fantastic Teresa Topaz will be on hand to deliver an informational and interactive lesson on guitar tone. John Guffey is training several people on stage set-up and tear down. Danny Frye will run our sound – This is going to be awesome! Special thanks to our sponsors: White Eagle Saloon, Ole Latte Coffee, Stefanie Fisher/Windermere Real Estate, and Stoller Family Estate Winery. Because of their financial contribution to cover the expenses of running these shows, we are able to guarantee that all ticket proceeds pay the bands. Please come, invite your friends, and prepare to be more than impressed. These students have something to prove: that they can keep up with the adults! See you there! 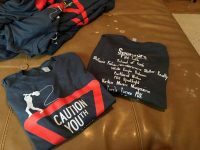 YOUTH SHOWCASE 5/28 : MEET the New Social Outcasts! Portland Notes and McMenamins White Eagle Saloon are proud to present another smashing all-ages youth music event this month – May 28,TICKETS AVAILABLE NOW!!!!! 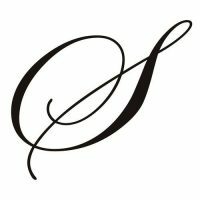 Sponsored by Olé Latte Coffee, Stoller Family Estate Winery and Stefanie Fisher/Windermere, this event is guaranteed to restore your faith in the American teenager! We would also like to thank our media partners: Vortex Music Magazine, PDX Spotlight and Teri’s Tunes PDX for their excellent support. School of Rock continues to come through with backline and stage support! Our goals are to share music with youth – to offer them an opportunity to play alongside local bands in a real music venue where all ages audiences can hear them present original music. Additionally, we want to allow the bands to learn about the music industry – promotion, professionalism, production, and performance! We are so excited to have an accomplished group of bands for this event, including Size 85 High Tops, Jack Mortensen Band, Shadows of the Revolution, and this week’s feature: New Social Outcasts, from our own fair city! I am crazy about this band! 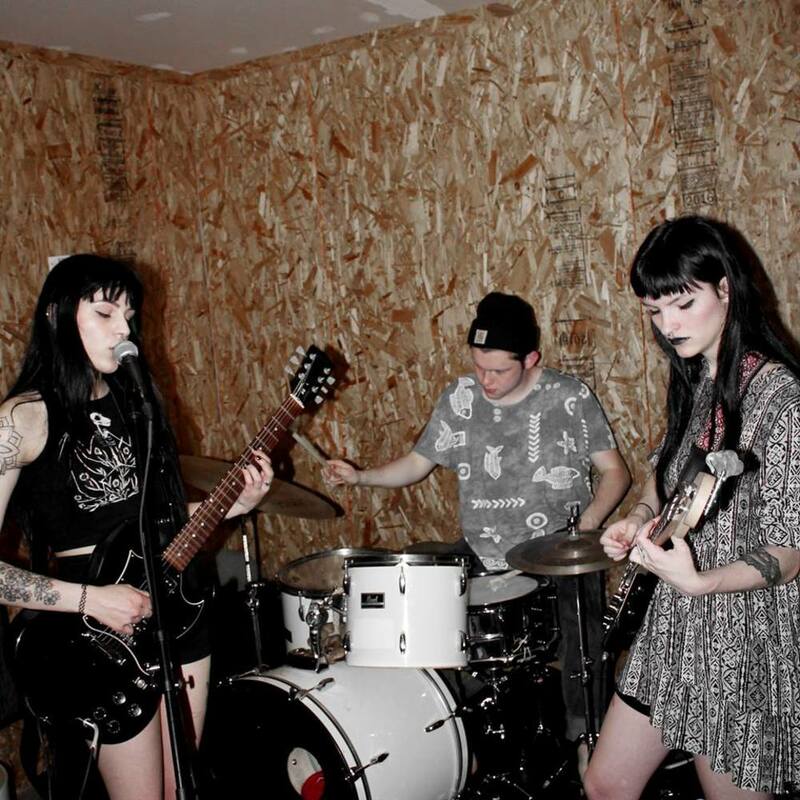 I’ve been following them since their first rehearsals at the Portland School of Rock in 2012. 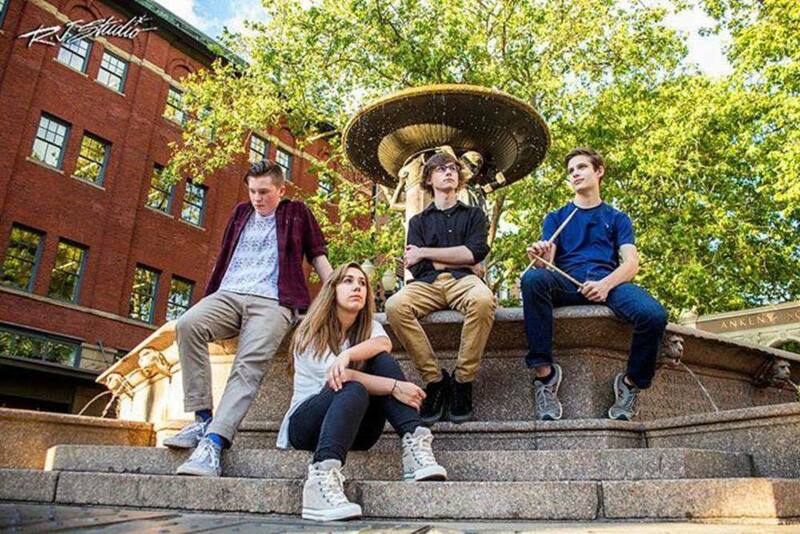 Formed by some of the most consistent and hardworking students at the music school, this band has been working on their sound, recording, and gigging around town while representing School of Rock and attending to their various curricular and extracurricular activities. 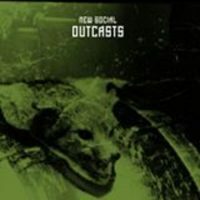 New Social Outcasts takes pride in their professionalism as well as their songwriting and performance. 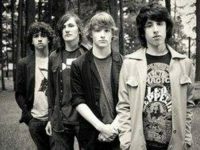 They’ve done an excellent job with their web presence and industry connections, rivalling many adult bands. The band has produced several collections of music (EP, LP, album) which are available on Reverbnation and Bandcamp. 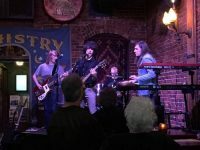 Having teamed up with local producer/engineer Bobby Ray (one of the creative minds behind “Bohemian RipCity”) will ensure that the music is presented with the same intensity and passion as their live performances, which are amazing! Evan Seeberger (vocals/guitar) and Evan Shely (vocals/bass) give each performance every ounce of themselves during a show – they are fully invested in their project! Octavio Dowling (vocals/keys) is involved in many local youth bands, and really fills out the sound. Connor Johnson (percussion/album art) holds the backbone of the band with his insane rhythm and communication from his difficult to photograph position. Incidentally, Connor is performing as stage manager for the upcoming youth event! Playing hard-hitting rock in many forms is their specialty! 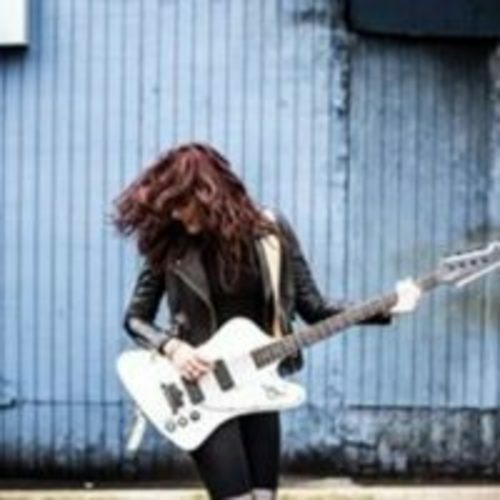 With psych and blues influences, you’ll hear a good amount of the familiar sound you love. Their youth and passion, combined with a fantastic ear for tone, create a modern sound that will get you on your feet and ready to ROCK! Please join us at the McMenamins White Eagle Youth Event on May 28! 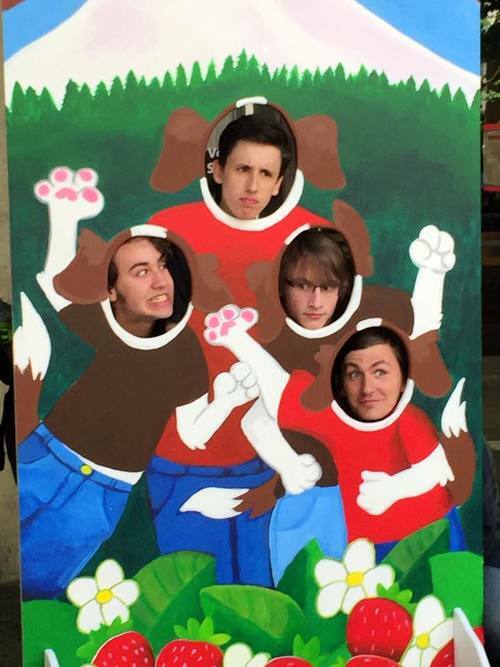 Enjoy this video of New Social Outcasts at the 2014 Gemba Festival!